Star Plus Spoilers Kasautii Zindagii Kay. Prerna gets uneasy when Anurag flirts with her. He just wants her to hate him more, unlike before, so that her heart doesn’t ache when she sees him with Komolika. He wants her to hate him so much that his presence doesn’t affect her. Prerna tells him that she will break his relation with Komolika as well. She tells Komolika that Anurag was with her in the changing room and romancing. She ignites the fire in their relationship so that Anurag comes at Komolika’s target. Anurag manages to lie and trick Komolika in time. He doesn’t want Prerna to face Komolika’s anger. He hides his love for Prerna from Komolika. Prerna gets angry on Anurag for always cheating her. Anurag learns about the robbery taking place at the jewellery store, where Prerna had gone. He rushes to save her life. Prerna doesn’t need anyone’s help and tries to manage everything alone. She safeguards herself and Shivani from the goons, but when she finds Anurag reaching there in search of her, she returns back to surrender to the goons just for his sake. Anurag and Prerna get at the goon’s target while Komolika waits for Anurag outside. Anurag and Prerna have a moment of unplanned love, which is witnessed by everyone. They truly love each other and prove it by risking lives. Shivani wishes that they unite forever and get rid of Komolika. Komolika gets caught by the goons as well. She wishes Anurag to help her first, but Anurag takes a stand when Prerna falls in danger. 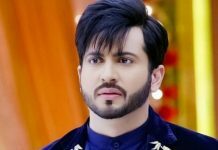 He proves his love for Prerna once again in order to save her life, while Komolika senses how badly he is fooling her by his charming sweet words. Komolika realizes that Anurag is still in love with Prerna, which is definitely not a good news for her. 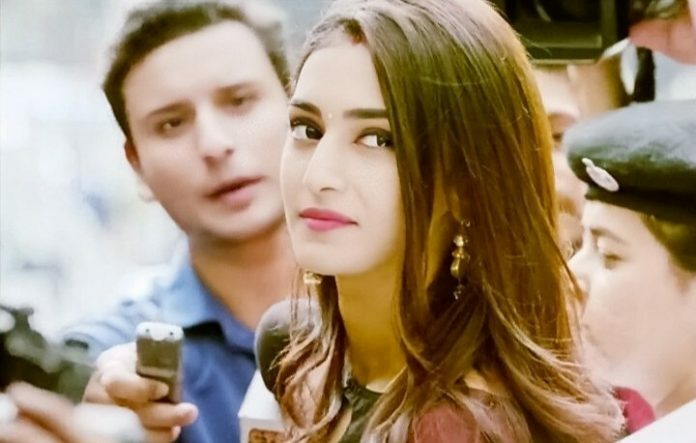 She wants revenge on Prerna at any cost, since she can’t lose Anurag. Yeh Rishte Hai Pyaar Ke: Abir is convinced that Mishti can fill happiness in Kunal’s life again. He wants Meenakshi to let Kunal and Mishti meet, so that they can decide for their lives. Meenakshi just wants to control Kunal’s life. Abir knows her intentions well. Like he wants Mishti to give another chance to life, he wants Kunal to do the same. He feels Kunal has become a puppet for Meenakshi, whom she can tune any way. Meenakshi gets upset that Kunal also started hiding things like Abir. Mishti tells Abir that Meenakshi had called Kunal and she had to answer the call in Kunal’s absence. Both Abir and Kunal get worried of Meenakshi’s reaction. They head home and reveal how they bagged the prestigious deal. This calms Meenakshi’s anger for a while. Her family practices for Ketki’s sangeet. Ketki gets happy that her brothers are with her. She hopes that everything goes fine in her marriage. Meenakshi gets confronted by Abir for plotting against Kunal’s alliance again. She maintains that she found Mishti a better match for him, and if Maheshwaris agree for the alliance, she has no problem in fixing it. She tells Abir that she didn’t do anything wrong. She wants Kunal to be her dutiful son like always. Abir gets upset with Meenakshi for always ruling things in everyone’s life. Elsewhere, Mishti is confused when the family asks her reply over the alliance. She is sure that Kunal is a nice guy, but wants to know him more before she gives her word for the marriage. Rajshri takes Devyaani’s permission to go ahead with the marriage talks. Mishti takes advice from Kartik and Naira over agreeing for the marriage. They also advice her to know Kunal well before marriage, so that she doesn’t have any doubt in her mind that eats up her happiness. They want Mishti to go ahead only if she is happy. Mishti tells Rajshri that she wants to know Kunal before marriage, so that she stays confident about her future.